Eco-travel is a new trend in vacations where tourists journey to regions commonly plagued by tourism, learn about common problems facing native populations and often pitch in to improve conditions. Because family travel should always be educational — giving kids and parents alike the opportunity to learn something new about history, ecology or unfamiliar cultures — eco-travel is an excellent opportunity to introduce another element into your family vacations. However, not all eco-travel options are appropriate for kids and teens. In many places around the world, conditions are too dangerous, or too graphic, to subject to young minds. If you are looking for a way to encourage your little ones to give back to the places they visit around the world, here are a few family-friendly ideas for eco-tourism. Without question, Haiti is a gorgeous vacation destination. Nestled in the middle of the Caribbean, the island has near-perfect weather, sandy beaches and turquoise water. Unfortunately, Haiti has long suffered from the effects of colonization, to include debt, exploitation, corruption and violence. As a result, the local population in Haiti desperately needs help accessing clean water, building infrastructure and generally achieving the stability of developed nations. Mission trips to Haiti help kids and teens form connections with the families in Haiti, get to know a unique culture and help people like them gain a more promising future. Another tropical paradise, Bali is well-known as a lavish vacation destination — but rampant tourism has had dramatic negative effects on the small island ecosystem. Indonesia in general has a problem with plastic: A lack of recycling efforts has polluted the islands and the surrounding oceans with all sorts of plastic, to the extend that Indonesia is the world’s second-largest source of marine plastic waste. An eco-vacation in Bali should consist of avoiding plastic at all costs and contributing to a volunteer effort to retrieve polluted plastic on beaches, in reefs and everywhere else in the natural environment. Perhaps the most biodiverse country in the world, Peru boasts coastline, tropical rainforest, arid deserts and mountaintop glaciers. On top of all that, Peru claims the ruins and archaeological sites of one of the most captivating ancient civilizations, the Inca. Unfortunately, much of Peru’s rich history and ecology is disappearing thanks to its steadily growing tourism industry. Too many tourists try to leave with a piece of Incan history at sites like Machu Picchu and Sacsahuaman, and the remaining cultural vestiges of the Inca people are being exploited by tourists rather than celebrated. When you or your teens travel to Peru, its important to get to know the locals, conserve the natural spaces and be respectful of the historical sites during your visits. South Africa is growing as a tourist destination for English speakers looking for an African adventure. 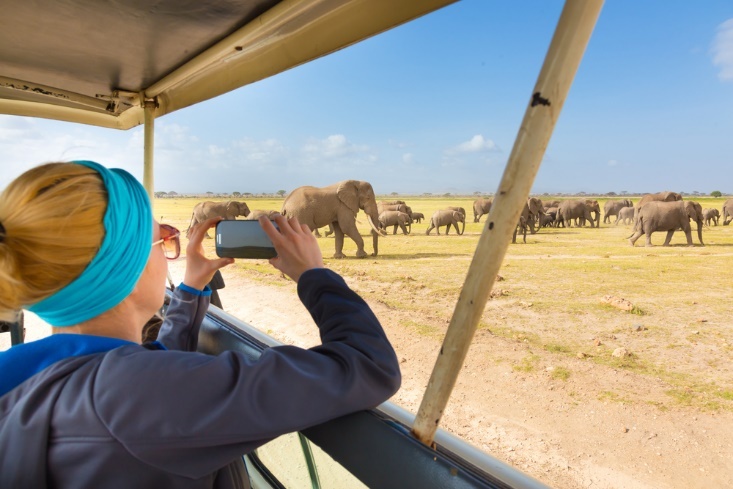 While there is plenty to do and see, one of the most popular attractions is this part of the world is a safari, or seeing African animals like elephants, giraffes, lions and rhinoceroses in their natural habitat. Unfortunately, many safari tours are incredibly destructive to the environment and the animals; some even advertise the opportunity to hunt big game, which is an egregious act considering the low numbers of these animals in the wild. If you want to take your family on a South African safari, you should go out of your way to ensure that the tour you purchase is eco-friendly and sustainable. Southeast Asia in general is growing in popularity as an affordable and exotic travel destination, but like other destinations on this list, too many tourists abuse the space and leave it polluted — and worse. As in South Africa, in Thailand the native animals are often the most mistreated by the tourism industry. Seeing and riding Asian elephants as long been a draw for travelers to the area, but many of the so-called elephant sanctuaries sorely abuse the gentle giants in favor of giving visitors a more favorable experience. Eco-travelers to this part of the world should search out ethical sanctuaries that rescue elephants and other animals, do not condone riding or other foul treatment and that work to improve the natural ecosystem through various conservation efforts. It’s possible to make a kid- and teen-friendly eco-vacation in almost any destination. As long as you and your kids understand how tourism impacts a place and how you should behave to prevent further destruction — and even to leave the destination better than you found it — you can teach your kids the right way to see the world.